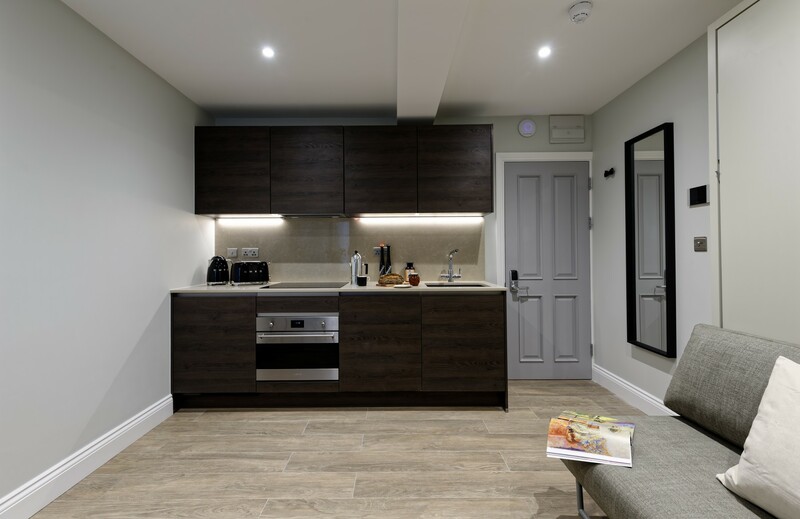 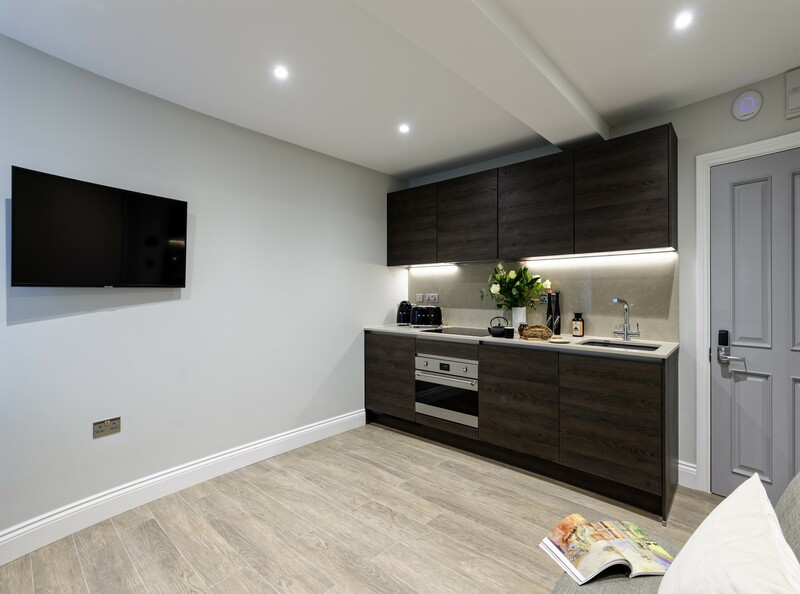 Apartment EG37-B4 - Notting Hill Apartments Ltd. 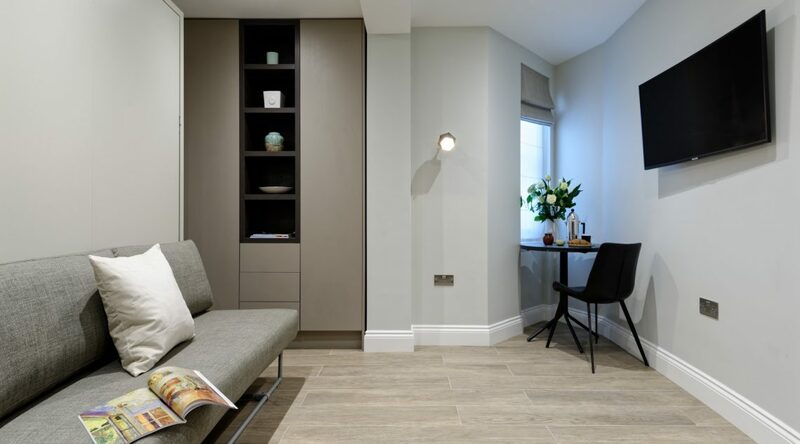 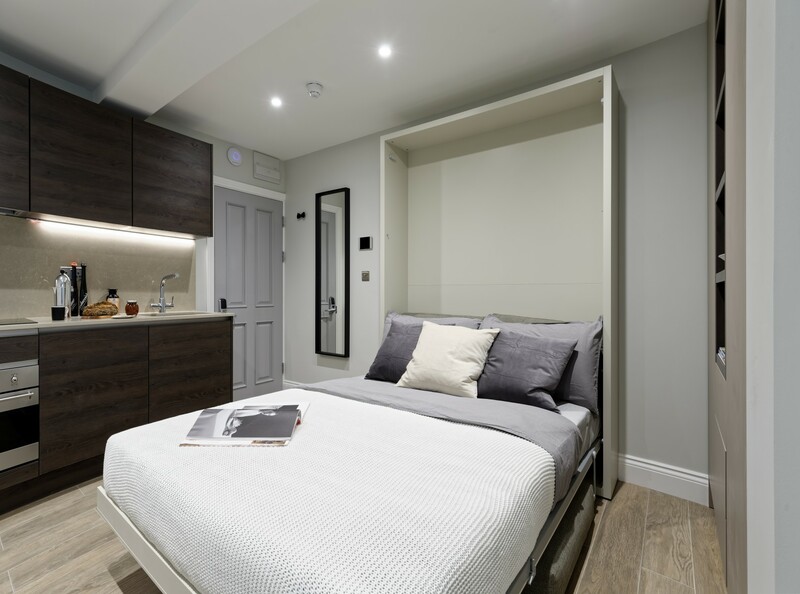 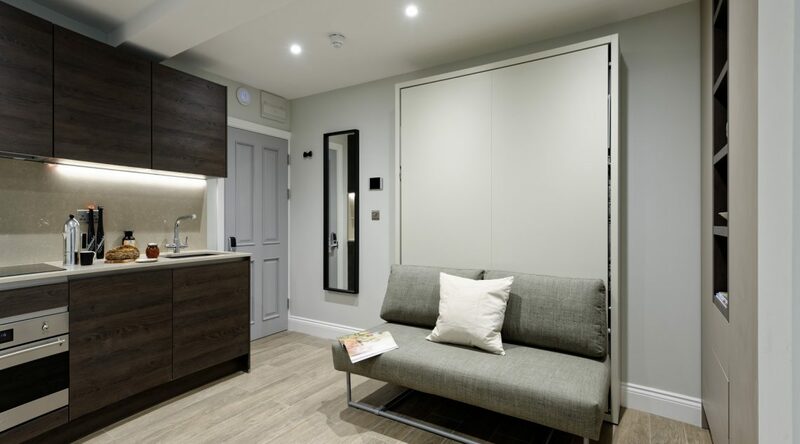 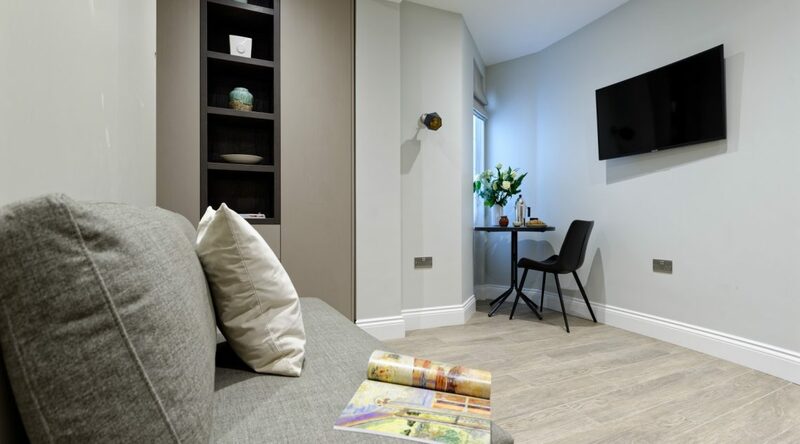 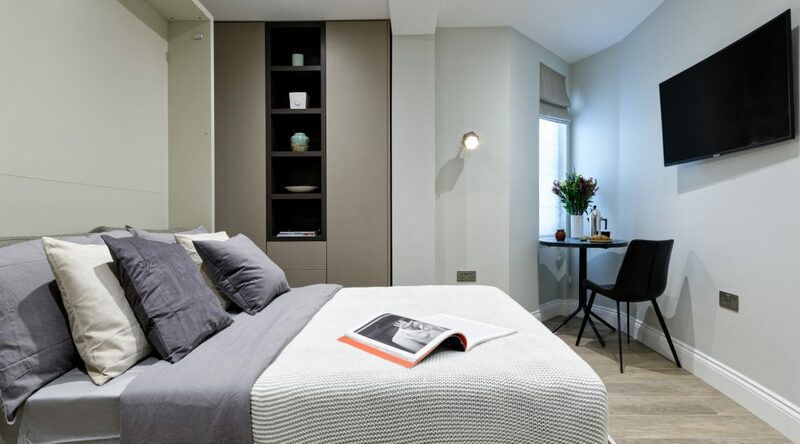 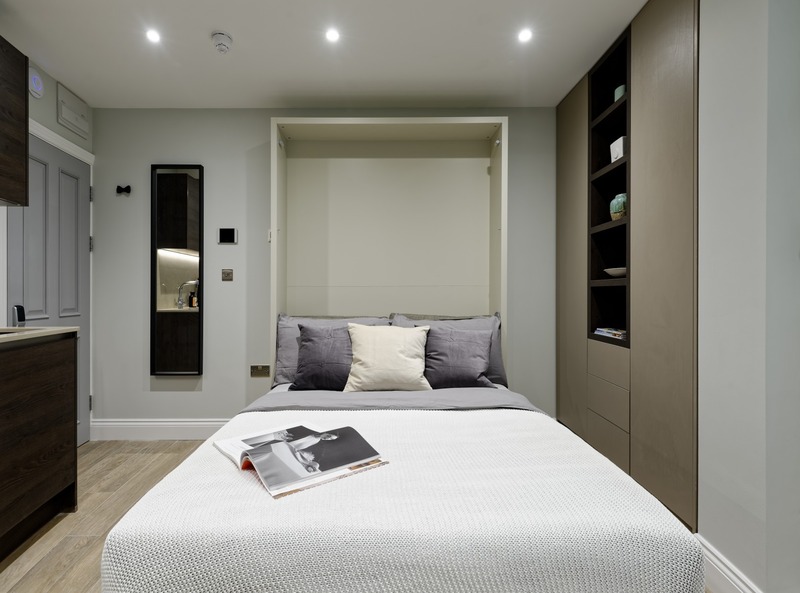 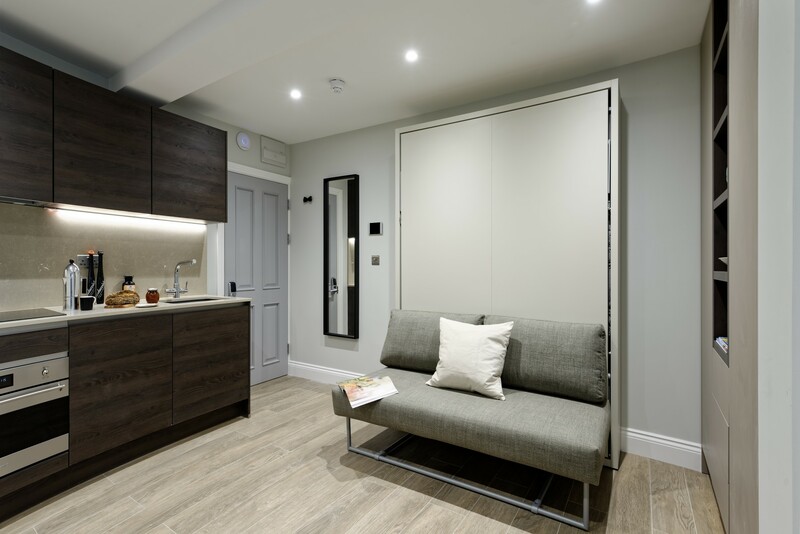 This compact basement flat is newly refurbished by our interior designer. 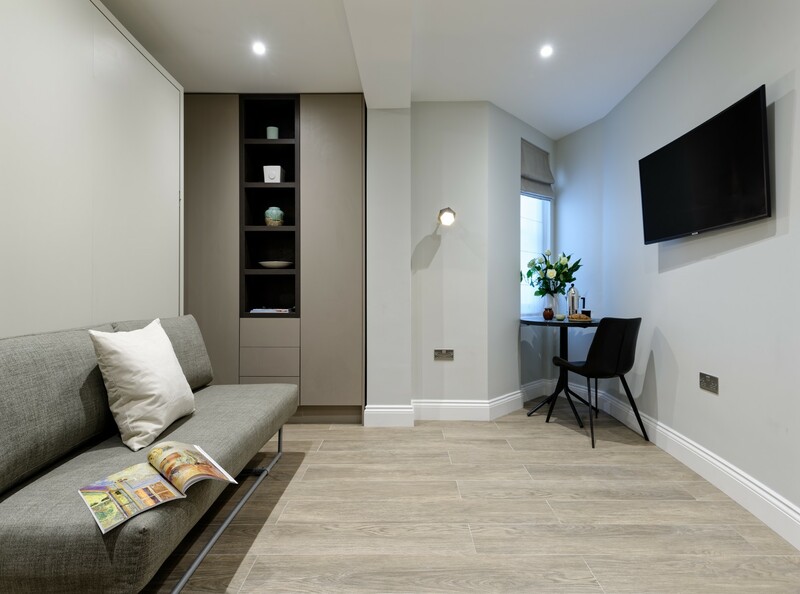 The flat sits in an imposing Victorian building in a pretty tree lined triangle in South Kensington. 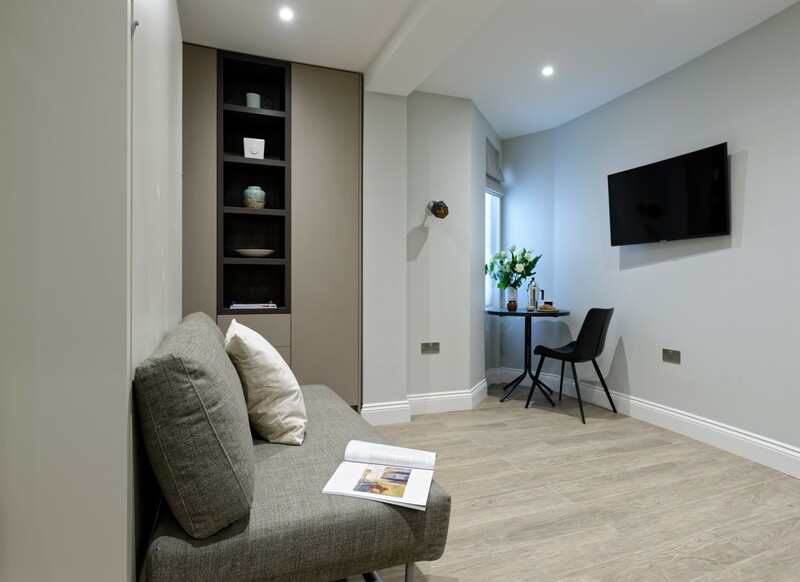 This lovely studio has been stylishly designed with stained oak floor, designer kitchen and bespoke joinery for a contemporary and cosy feel. 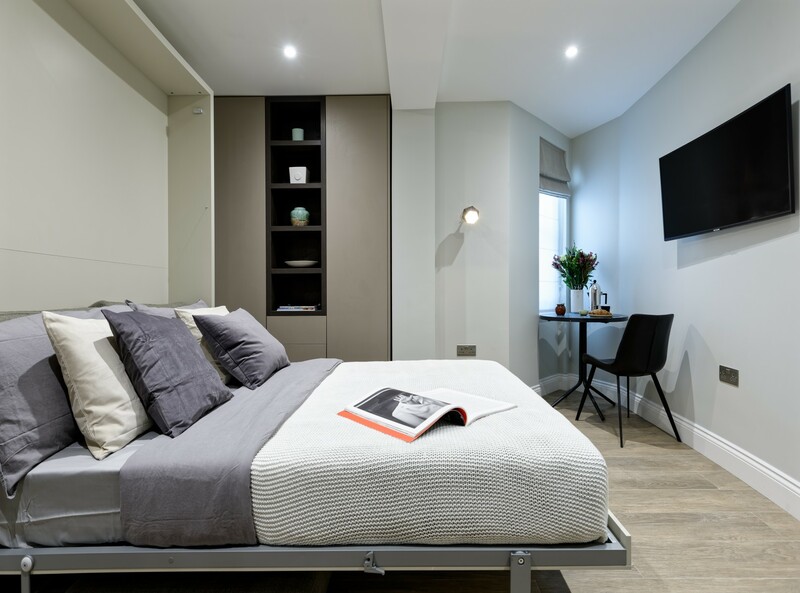 The comfortable sofa is part of the Clei Italian bed system. 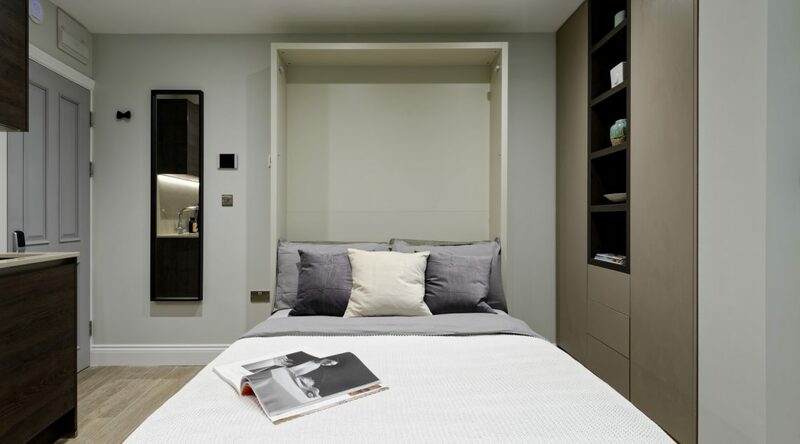 This maximises space while used as a sofa yet effortlessly converts into a comfortable double bed. 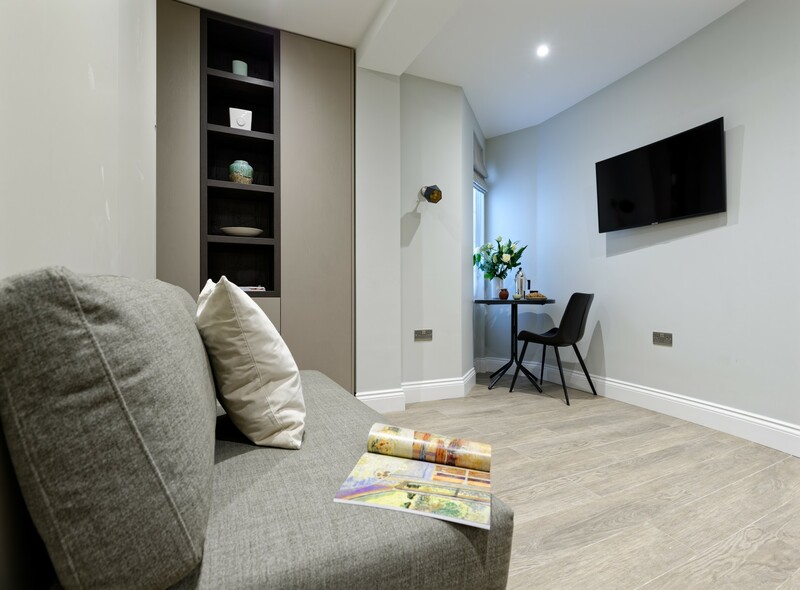 Catch up with your favourite series on the large smart TV, visible from the sofa or while snuggling in bed. 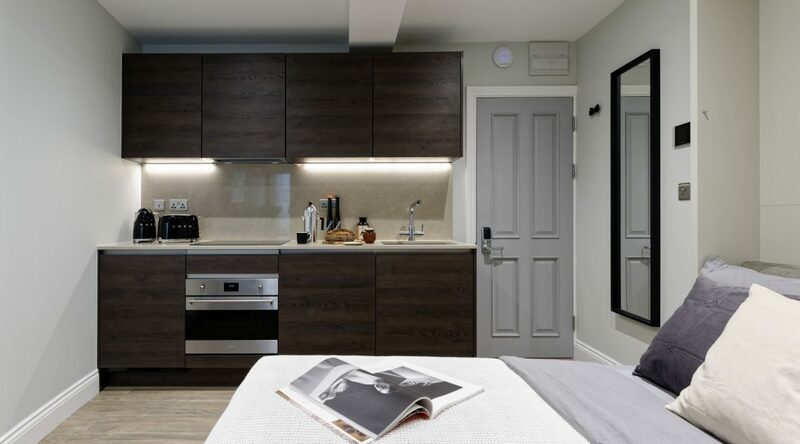 In the modern, wood grained kitchen you will find all the tools, pots and plates you need to unleash your culinary talents. 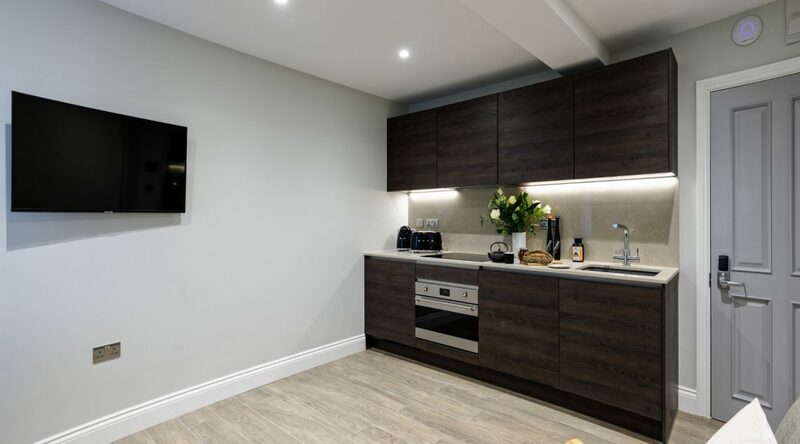 The oven, hob and fridge freeze are all newly installed, meaning your rental will be stress free. 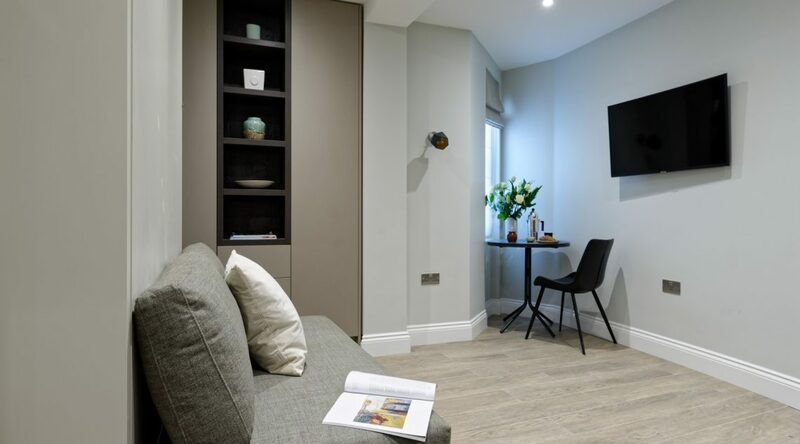 For meals, makeup or maybe some laptop work, a small table and chair sit in the window area. 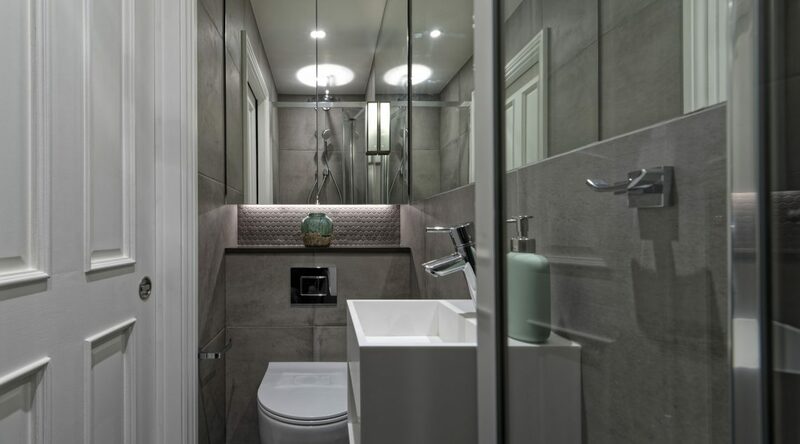 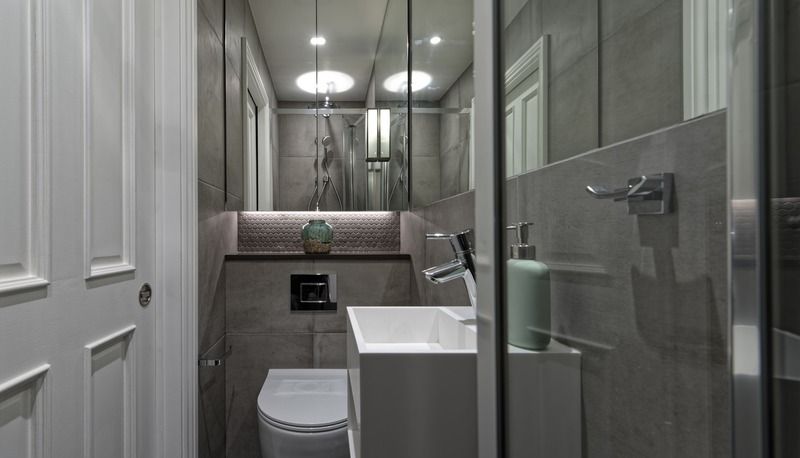 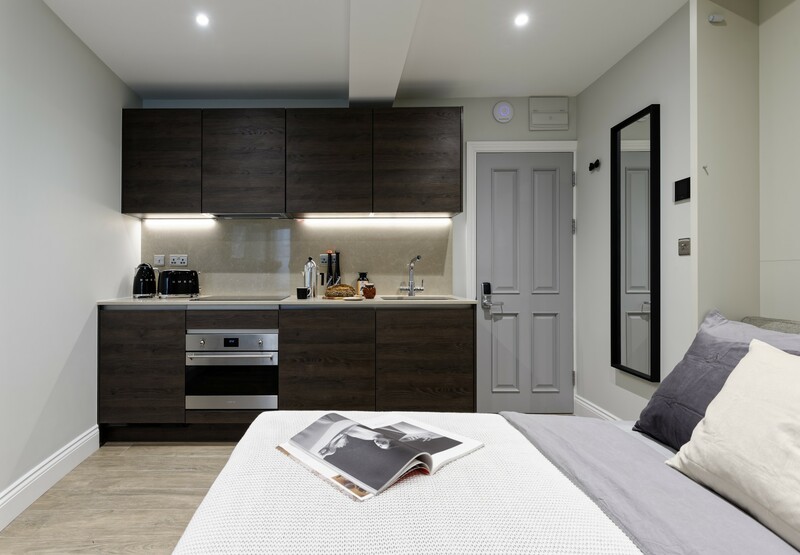 Just outside your door, there is a newly refurbished, modern bathroom with a walk in power shower, separate hand shower and underfloor heating. 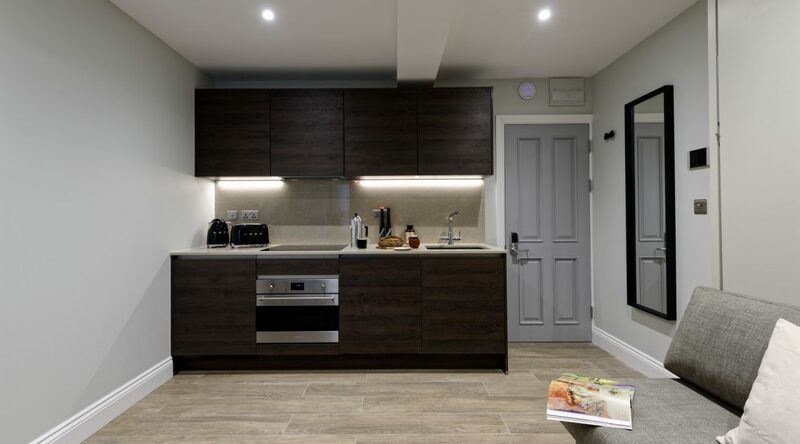 This is shared with one other studio on this level. 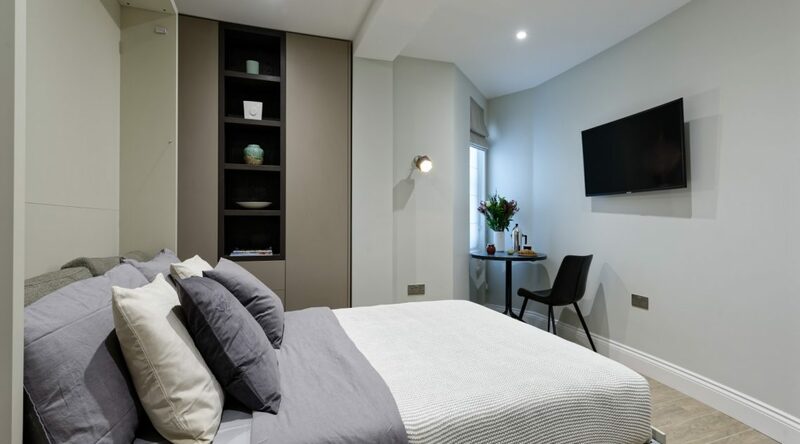 Kensington and Chelsea is a popular and affluent neighbourhood with Royal palaces, parks, museums and some beautiful garden squares with impressive houses. 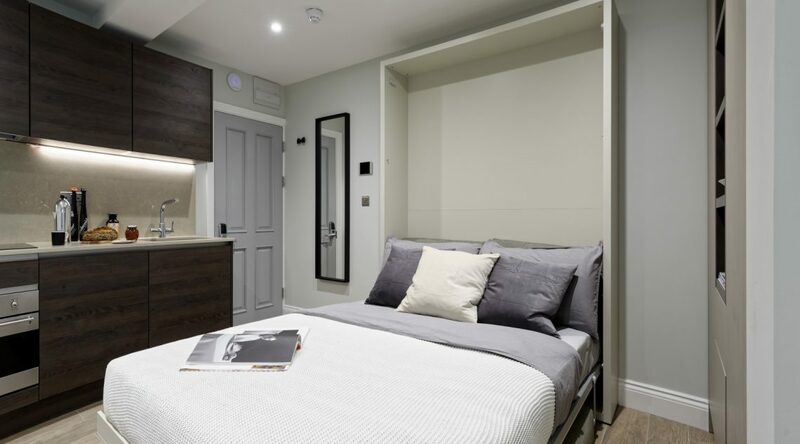 The area has a vast array of stores, restaurants and delis; from the glamour of Harrods or Michelin starred restaurants to the numerous and more affordable supermarkets and markets. 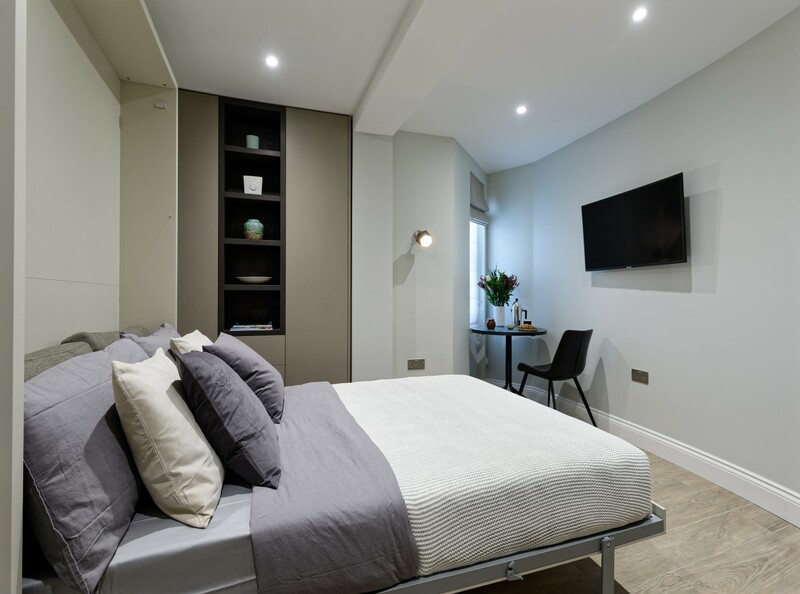 Renting a flat in South Kensington means you have excellent transport options, with numerous bus routes and Gloucester Road Tube station only 5 minutes walk away.